When is it Time to Outsource Recruiting? 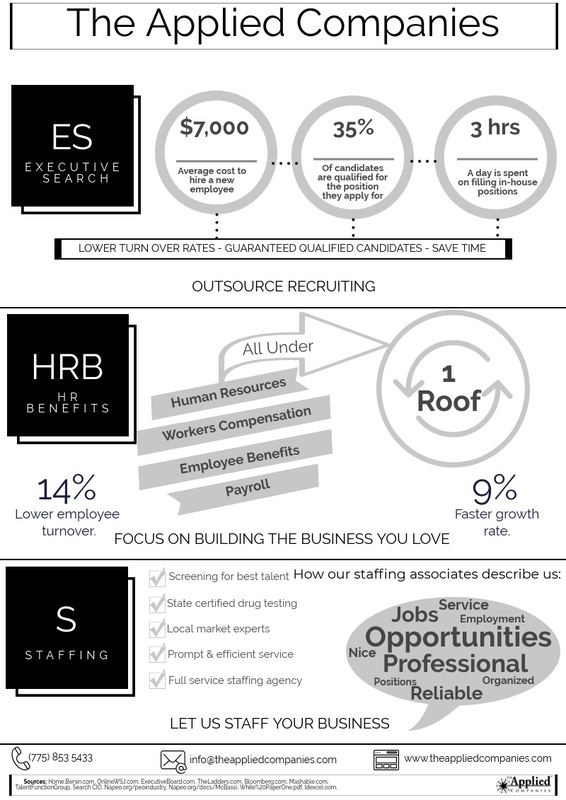 Why outsource your recruiting needs? According to a survey by the Society for Human Resource Management the average cost of hiring a new employee is $4,129. The Institute for Research on Labor and Employment at the University of California at Berkeley reported the average cost for managerial and professional employees could run as high as $7,000. Additionally, Dun and Bradstreet’s Business Research states that employers pay as much as 150% of an employee’s salary to replace a management position. A priority for business owners is to keep up with sales leads and consumer needs. If a business owner needs more manpower to fulfill this need and doesn’t want to spend a ton of money, they should look at outsourcing. https://theappliedcompanies.com/wp-content/uploads/2015/01/slider3.jpg 457 1310 Celeste Johnson https://theappliedcompanies.com/wp-content/uploads/2018/09/TAC-Logo-White-01-300x116.png Celeste Johnson2018-05-18 15:00:552018-05-21 16:03:12When is it Time to Outsource Recruiting? Millennials are no longer the newbies. As HR experts, we are “over” over-analyzing this generation. We’re also tired of everyone blaming them for whatever ails us at the moment. It’s time to press the refresh button. Welcome Generation Z! 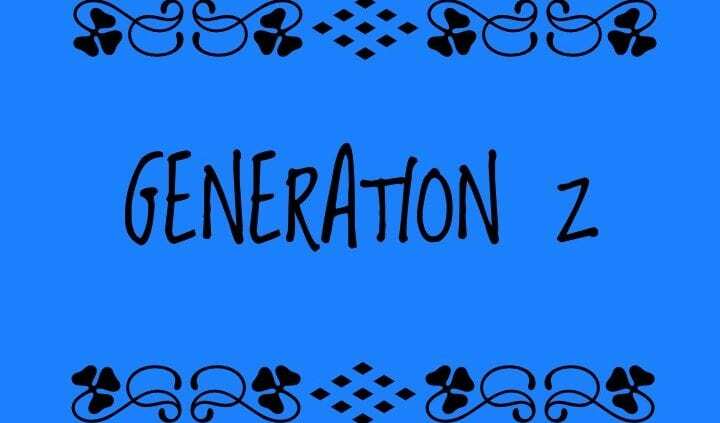 This generation is the largest on the planet, numbering 72 million and counting. Ages 25 and younger, they represent 25.9 percent of the population and by 2020 they will account for one-third. Every generation looks down their noses at the young upstarts. In order to succeed together we want to change this. As a business owner, how do you ensure (and insure) your business will work and be successful? Put your risk management hat on. Identify each risk and decide what to do about each. There are four main strategies: avoid it, reduce it, transfer it and/or accept it. Buying commercial business insurance is obvious. The tricky part is how to ensure that your business decisions are the right ones. Start working on your business versus in it. Failing to perform in-house investigations will not result in fun and games — that’s how employees win lawsuits. Why do an investigation? The onus is always on the employer. Ignorance equals risk. Begin an investigation when the gossip starts, before you receive a complaint and before you are sued. The three most common issues involved in an investigation are harassment, whistleblower, and discrimination. Whatever the issue, following the suggestions below can help manage the risk. What should be investigated? All gossip, what you hear through management by walking around, subtle “please do not tell anyone” conversations (then do not promise confidentiality — you must address a problem) and comments in anonymous suggestion boxes. Small bumps can become a cancer. Assume each issue is legitimate and drive that type of cultural commitment daily. When should it be investigated? Immediately. No exceptions. Look forward and reason backward. Go big-picture and follow the trail, with an eagle-eye view. Imagine the timeline spread out from when it happened to two or three years down the line if you wind up in court. If an employee put you on notice Monday, October 1 and then you did not do anything for three weeks, you’re toast. If you took action Monday afternoon upon notice, then you should be evaluated more positively. Why would you investigate it? You have a responsibility to employees. You’ll lose them is they perceive a lack of commitment to a healthy work culture. Response to an investigation is generally positive: “Management is handling the issue.” If you get rid of the issue, good job — shareholders will be happy. Who should do the investigation? Investigations are hard. Period. Who you assign to do them is crucial. Options include in-house HR, a PEO, outside HR consultants, an objective person in leadership with no direct reporting, or a person who is not highly emotional. What’s the end game? Document the following in order: failure, conclusion, report and follow-up. The most important point is to reach a conclusion. Write it all down on a factual basis, no opinions, based on tangible information. It’s harder to do than you think. Follow up with the complaining party by calendaring three months down the road, and develop a feedback loop. If you do wind up in court, this is what you want the suing employee to relay to the judge: “My employer followed up with me so I felt good.” You win. Investigation is not a dirty word. It’s clean and can help make your environment “sparkle.” You will almost always discover something in the process that will help improve the workplace. The Applied Companies has been around for more than ten years. They have an established reputation in the Reno, Nevada community, a well-received message and a popular company culture among employees with proof to show it – they have been honored as one of the Best Places to Work in Nevada more than a few times over the years. When I joined the team just out of college, I assumed it was safe to say the company was pretty set in its ways – that there wouldn’t be much room for culture change or workplace progression… or so I thought. Seeing as my personal values matched up with the present company values and practices, I was basically okay with that. However, my assumption was incorrect – and that is why this company is successful. In the short six months that I have worked at The Applied Companies, the company has changed their paid time off policy to better suit employee needs, implemented a “Go Green” initiative to decrease their carbon footprint, started a “Bring Your Pet to Work Day” every few months, changed their policy on business attire (yes, jeans are now allowed) and much more. The leadership within the company recognizes the changing world of business and seeks to remain current and moving in the fast-paced culture. Established companies must continue to look for new ways to improve their organization both internally and externally, and stay up with and even sometimes ahead of industry trends. In an employee market, where good candidates can sometimes seem scarce, creating an innovative and collaborative company culture is essential to success and employee retention. As CEO Jim Annis often states, “the only constant is change,” and I am proud to be a part of a company that honors that progressive, innovative and forward way of thinking. Scene: Typical interview room. “A” candidate Rachael is very interested in working here. The busy HR manager, Bob, has had six interviews today and this, the most qualified candidate, is the last. The fly has been buzzing around for a few weeks. Fly: Bob’s been primping for two minutes! Tie, check! Mouthwash, check! Nose, check! Bob: (Leans on the desk, head on his hand). Hi Rachael. Thanks for doing the phone pre-interview. Summarize your sales achievements over the past few months. Rachael: (Sitting at an angle). My team surpassed our quarterly goals by 300 percent in the accounting tech software market. I read in the Wall Street Journal that you are prepping for the launch of your new upgraded product. When does that hit the market? Fly: There’s no I in team! She’s nailed the three Ps – planned, prepared and practiced. She is not rushed and confident. When a human sits directly across from someone he/she recalls less of what was said. It also causes a perception of negativity and opposition. By sitting at a slight angle she changes this automatic bias. And she’s done her homework. Questions are relevant. Smart! Bob: (Sighs) We’ve been working overtime to get it out. Go live is March 1, but we’ll be lucky if it sticks. Rachael: Tell me about the corporate culture. What are your expectations of the work week and hours? How do you incorporate green initiatives and volunteerism into your daily operations? Fly: He’s fumbling. Hope he can get a grip. Rachael: What’s your company’s commitment to quality of life? Preserving natural resources? Do you encourage volunteer activities through corporate social responsibility? Bob: Well, all that is on our website. Right here. (Points to the screen on his iPad). Is that really important to you? You are a salesperson. And a good one! Fly: I better dive bomb Bob and get him out of his funk. He is going to lose her to the competition. Bzzzzz … incoming! Whack! Bob: (Swats the fly and gets focused). Rachael, you’re the kind of person we’re looking for with this position. We’d like to begin negotiations today and get you on board. Fly: Awesome, she’s got the job! Rachael: Bob, I appreciate your time but I am not sure if it is the right fit. Best of luck. Bob:(Shakes her hand, sheepishly). Thanks. Jim Annis is president/CEO of The Applied Companies, which provide HR solutions for today’s workplace. Celeste Johnson, Applied’s division director, contributed to this article. As the summer months come to a close (how did that happen so fast? ), we find ourselves looking to the fall season – ready to take on new challenges, goals and projects. Fall isn’t a new year, but it is a chance to re-motivate yourself and get back on track. Give yourself a few hours to reflect on the changing season and the new opportunity. What do you want to accomplish? What would you have done differently? Don’t just think about it, but physically (or electronically) write it down. Schedule your time around it, set yourself up for a successful new beginning. Most of us have goals, or at least things we would like to improve upon. Go back to your New Year’s Resolutions or whatever else you’ve set in your mind – have you followed them? Decide if those are still the right goals for you. If they are, make sure you’re taking the steps to making them a reality, if they aren’t, define new ones and then do the same. Once you’ve figured out what it is that you truly want to accomplish, look at what you have actually been doing with your time. Hours of television? Days of unhealthy eating? Cut out whatever it is that is holding you back. Maybe it’s an organization or commitment, maybe it’s a bad habit – whatever it is, cut it out or at least cut it back to open up your time for what’s important. Make a list of fun things for yourself that you’d like to do. It could be a list of books you want to read, movies you want to see, places you want to go or restaurants you want to try. Make a vow to yourself to at least try to do some of these things within the next few months. What’s life if you’re not living? While you’re planning, making lists, re-evaluating goals – remember to add in a significant amount of time to remember just how great it all is. Be grateful for the experiences this past half year and appreciative of what is coming. Decide to incorporate gratitude into your everyday life this season. Although the first official day of fall doesn’t come until September, it is never too early to plan and prepare. But for now, grab a hat and some sunblock, go outside and enjoy the nice weather. Competition is not unfamiliar. The constant expectation to be productive, get results, and remain relevant are prominent in the workplace of today’s society. We read articles much like this one, explaining different life hacks that will allow you to perform at your best – we set goals and try new things. Although the different articles and methods of maximizing productivity are beneficial, and often times they do prove valuable, simply reading about them isn’t enough. Here are five ways to make today your most productive day, and I challenge you to walk away from this with not only a few tips, but also with the motivation to act upon them and improve your performance. The hardest part is starting. Put your phone away, logout of social media profiles, turn on your most soothing music, and stop over-anticipating your workload. The amount of time we spend getting lost in mindless tasks adds up to hours and hours of potential productivity. Prioritize your tasks, go over your pending projects, write down your goals and obligations. Set up a schedule for your day-to-day workload. Use an electronic calendar, buy a physical planner – whatever you need to do. Make sure to not overbook yourself or set unrealistic expectations. It may seem daunting at first, but once everything is written out and set into a manageable time frame, you will feel ready to take on the world. Now, quit reading these articles or staring at your perfectly formed plan, and start working. Activities drive results, and there comes a time when simply performing your tasks and work is more important than prepping for it. Take a walk outside and breathe in the air. You are making efforts to improve your productivity, and you should feel good about that.